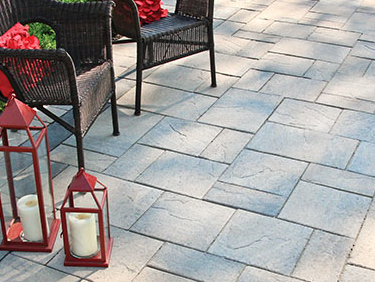 "Trevista® 50 provides that rustic, natural stone look for patios, pool sides and walkways. Complementing the popular Trevista® 80 in both surface size and colour, the Trevista® 50 helps to complete your landscape vision with its grand elegance and striking texture." - Best Way Stone Ltd.